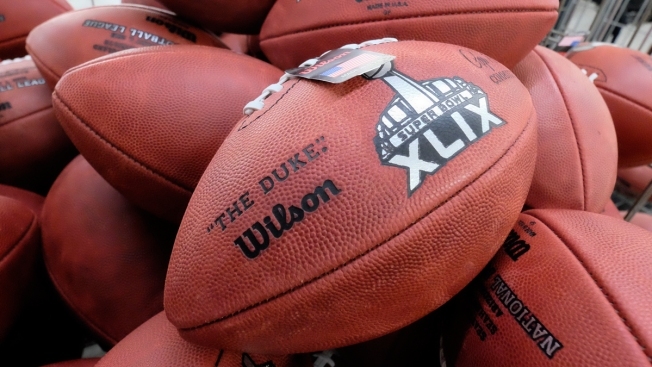 The National Football League has interviewed a locker room attendant who is believed to have carried footballs used in the New England Patriots’ AFC Championship Game against the Indianapolis Colts into a bathroom, a league source told NBC Sports. First reported by FOX Sports on Monday, the attendant allegedly carried two bags of balls into the bathroom after they were inspected and approved, which was seen in a surveillance video obtained by the Patriots and handed over to the NFL for the investigation. The video shows the attendant in the bathroom for approximately 90 seconds, NBC Sports' Profootball Talk reported. The Patriots secured their place in the Super Bowl after they defeated the Colts 45-7. But an ESPN report that cited anonymous league sources said 11 of the Patriots' 12 allotted game footballs were underinflated by 2 pounds per square inch. The report prompted the NFL to lauch an official investigation. The NFL said in a statement last Friday that evidence so far in their investigation showed the Patriots used footballs that were under-inflated in the first half of the game. But the league added that, "We have not made any judgments on these points and will not do so until we have concluded our investigation and considered all of the relevant evidence." "There have been questions raised, and I believe now, 100 percent, that I have personally and we have as an organization have absolutely followed every rule to the letter," Patriots coach Bill Belichick said last Saturday afternoon amid the "Deflategate" controversy. "At no time was there any intent to compromise the integrity of the game." Patriots quarterback Tom Brady said he "didn't alter the ball in any way" at a press conference last Thursday. "I feel like I've always played within the rules. I would never do anything to break the rules," he said. When a reporter asked if he were a cheater, Brady said, "I don't believe so."